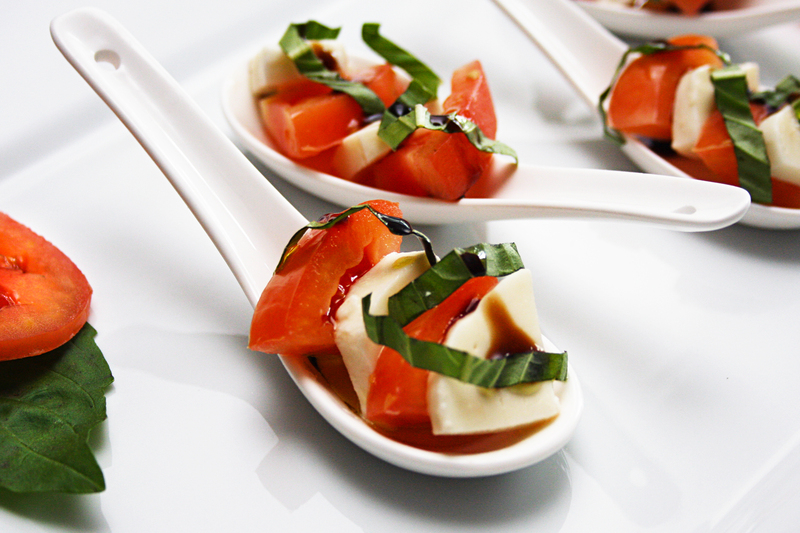 Caprese Salad Amuse Bouche Recipe | Exploring Food & Drink in D.C.
Slice tomatoes into ⅛” to ¼” thick slices and then quarter them. Slice fresh Mozzarella and then quarter each slice depending on the size. Assemble amuse bouche by layering tomato and mozzarella pieces. Finish with a small pinch of salt if desired. Tags: amuse bouche, appetizer, hors d’œuvre, recipe. Bookmark the permalink.